At this point, it is Monday morning at 1:30am. The people who built the regular-sized drums have all been home since dinnertime on Sunday. 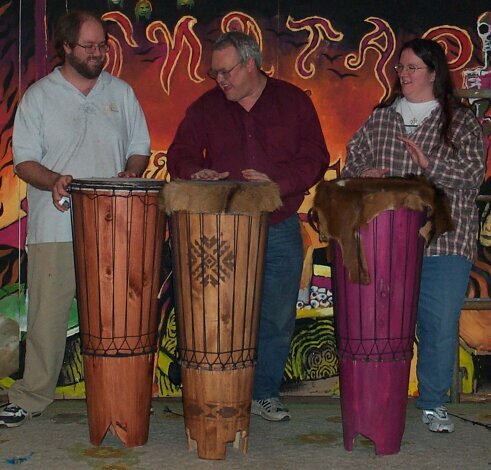 Only these three who chose to build these HUGE ashikos are still here working on their drums. 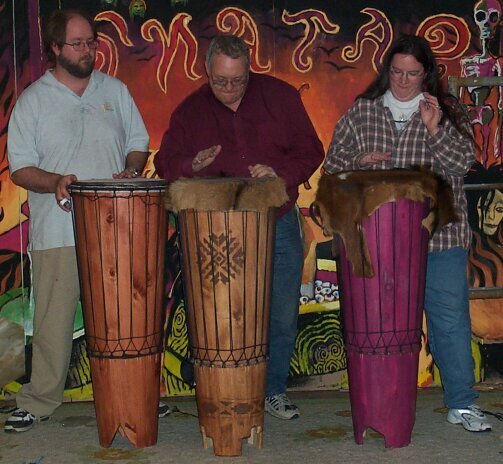 Stan suggested they play their almost-finished drums ensemble-style. As moments go, it was a gem. Two normal drummers with an odd drummer in between them. 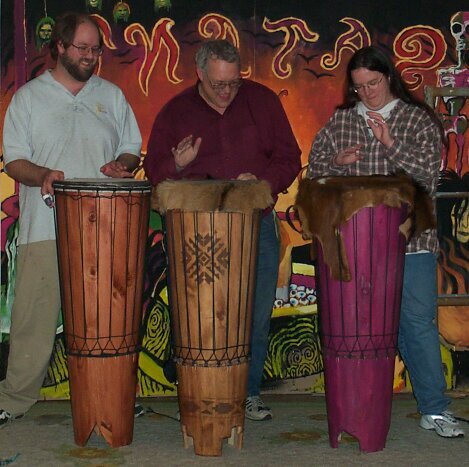 Two normal drummers starting to crack up because the odd drummer in between them is really getting into it. 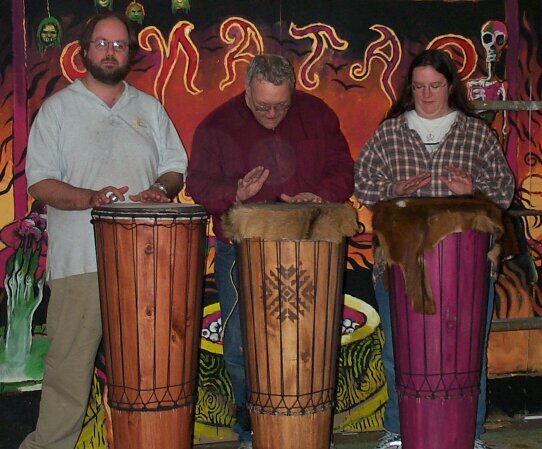 Two normal drummers trying to concentrate in spite of the odd drummer in between them.